All the following offerings that I’ve evaluated target different scenarios. I’ve listed the pros and cons for each of them and where I think they fit into a potential solution to monitor your web applications (I’m leaning toward NodeJS) and make sure they keep running. I’ve listed the goals I was looking to satisfy. For me I have to have a good knowledge of the landscape before I commit to a decision and stand behind it. I like to know I’ve made the best decision based on all the facts that are publicly available. Therefore, as always, it’s my responsibility to make sure I’ve done my research in order to make an informed and ideally… best decision possible. I’m pretty sure my evaluation was un-biased, as I hadn’t used any of the offerings other than forever before. I looked at quite a few more than what I’ve detailed below, but the following candidates I felt were worth spending some time on. Keep in mind, that everyone’s requirements will be different, so rather than tell you which to use because I don’t know your situation, I’ve listed the attributes (positive, negative and neutral) that I think are worth considering when making this choice. After my evaluation I make some decisions and start the configuration. Who is the creator. I favour teams rather than individuals, as individuals move on, then where does that leave the product? Does it do what we need it to do? Goals address this. Do I foresee any integration problems with other required components? Cost in money. Is it free? I usually gravitate toward free software. It’s usually an easier sell to clients and management. Are there catches once you get further down the road? Usually open source projects are marketed as is. Cost in time. Is the set-up painful? Documentation. Is there any / much? What is it’s quality? Community. Does it have an active one? Are the users getting their questions answered satisfactorily? Why are the unhappy users unhappy (do they have a valid reason). Gut feeling, Intuition. How does it feel. If you have experience in making these sorts of choices, lean on it. Believe it or not, this should probably be No. 1. The offering should be production ready. This means: mature with a security conscious architecture. You’ll have one of these running on your Linux box. These are system and service managers for Linux. Upstart and the later systemd were developed as replacements for the traditional init daemon (Sysvinit), which all depend on init. Init is an essential package that pulls in the default init system. In Debian, starting with Jessie, systemd is your default system and service manager. There’s some quite helpful info on the differences between Sysvinit and systemd here. As I have systemd installed out of the box on my test machine (Debian Jessie), I’ll be using this for my set-up. Well written comparison with Upstart, systemd, Runit and even Supervisor. and it’s web UI. Can run any kind of script continuously (whether it is written in node.js or not). This wasn’t always the case though. It was originally targeted toward keeping NodeJS applications running. Requires NPM to install globally. We already have a package manager on Debian and all other main-stream Linux distros. Installing NPM just adds more attack surface area. Unless it’s essential, I’d rather do without NPM on a production server where we’re actively working to reduce the installed package count and disable everything else we can. I could install forever on a development box and then copy to the production server, but it starts to turn the simplicity of a node module into something not as simple, which then makes offerings like Supervisor, Monit and Passenger look even more attractive. Does it Meet our Goals? Application will be re-started if it dies, but if it’s response times go up, there’s not much forever is going to do about it. It has no way of knowing. Visibility of application statistics could be added later with the likes of Monit or something else, but if you used Monit, then there wouldn’t really be a need for forever as Monit does the little that forever does and is capable of so much more, but is not pushy on what to do and how to do it. All the behaviour is defined with quite a nice syntax in a config file or as many as you like. I think there is enough documentation to feel comfortable consuming it, as forever doesn’t do a lot, which doesn’t have to be a bad thing. The code it self is probably production ready, but I’ve heard quite a bit about stability issues. You’re also expected to have NPM installed (more attack surface) when we already have native package managers on the server(s). For me, I’m looking for a tool set that does a bit more. Forever doesn’t satisfy my requirements. There’s often a balancing act between not doing enough and doing too much. Younger than forever, but seems to have quite a few more features and does actually look quite good. I’m not sure about production ready though? As mentioned on the github page: “PM2 is a production process manager for Node.js applications with a built-in load balancer“. This “Sounds” and at the initial glance looks shiny. Very quickly you should realise there are a few security issues you need to be aware of though. The word “production” is used but it requries NPM to install globally. We already have a package manager on Debian and all other main-stream Linux distros. Installing NPM just adds more attack surface area. Unless it’s essential and it shouldn’t be, I’d rather do without it on a production system. I could install PM2 on a development box and then copy to the production server, but it starts to turn the simplicity of a node module into something not as simple, which then makes offerings like Supervisor, Monit and Passenger look even more attractive. At the time of writing this, it’s less than a year old and in nodejs land, that means it’s very much in the immature realm. Do you really want to use something that young on a production server? I’d personally advise against it. Yes, it’s very popular currently. That doesn’t tell me it’s ready for production though. It tells me the marketing is working. Is your production server ready for PM2? That phrase alone tells me the mind-set behind the project. I’d much sooner see it the other way around. Is PM2 ready for my production server? You’re going to need a staging server for this, unless you honestly want development tools installed on your production server (git, build-essential, NVM and an unstable version of node 0.11.14 (at time of writing)) and run test scripts on your production server? Not for me or my clients thanks. If you’ve considered the above concerns and can justify adding the additional attack surface area, check out the features if you haven’t already. They’re also listed on the github repository. Just beware of some of the caveats. Like for the load balancing: “we recommend the use of node#0.11.15+ or io.js#1.0.2+. We do not support node#0.10. * cluster module anymore!” 0.11.15 is unstable, but hang-on, I thought PM2 was a “production” process manager? OK, so were happy to mix unstable in with something we label as production? On top of NodeJS, PM2 will run the following scripts: bash, python, ruby, coffee, php, perl. Although I’ve heard a few stories that this is fairly un-reliable at the time of writing this. Which doesn’t surprise me, as the project is very young. The feature exists, unsure of how reliable it is currently though? Application should be re-started if it dies shouldn’t be a problem. PM2 can also restart your application if it reaches a certain memory threshold. I haven’t seen anything around restarting based on response times or other application health issues. Clustering and load-balancing is integrated but immature. PM2 provides a small collection of viewable statistics. Personally I’d want more, but I don’t see any reason why you’d have to swap PM2 because of this. There is reasonable official documentation for the age of the project. The community supplied documentation will need to catch up a bit, although there is a bit of that too. After working through all of the offerings and edge-cases, I feel as I usually do with NodeJS projects. The documentation doesn’t cover all the edge-cases and the development itself misses edge cases. Hopefully with time it’ll get better though as the project does look promising. I haven’t seen much that would make me think PM2 is production ready. It’s not yet mature. I don’t agree with it’s architecture. For me, the architecture doesn’t seem to be heading in the right direction to be used on a production web server where less is better. I’d like to see this change. If it did, I think it could be a serious contender for this space. The following are better suited to monitoring and managing your applications. Other than Passenger, they should all be in your repository, which means trivial installs and configurations. Supervisor is a process manager with a lot of features and a higher level of abstraction than the likes of the above Sysvinit, upstart, systemd, Runit, etc so it still needs to be run by an init daemon in itself. From the docs: “It shares some of the same goals of programs like launchd, daemontools, and runit. Unlike some of these programs, it is not meant to be run as a substitute for init as “process id 1”. Instead it is meant to be used to control processes related to a project or a customer, and is meant to start like any other program at boot time.” Supervisor monitors the state of processes. Where as a tool like Monit can perform so many more types of tests and take what ever actions you define. It’s in the Debian repositories (trivial install on Debian and derivatives). There’s a good short comparison here. Application should start automatically on system boot: Yip. That’s what Supervisor does well. Integrate NodeJS’s core module cluster into your NodeJS application for load balancing. This would be completely separate to supervisor. Visibility of application statistics could be added later with the likes of Monit or something else. For me, Supervisor doesn’t do enough. Monit does. Plus if you need what Monit offers, then you have to have three packages to think about, or Something like Supervisor, which is not an init system, so it kind of sits in the middle of the ultimate stack. So my way of thinking is, use the init system you already have to do the low level lifting and then something small to take care of everything else on your server that the init system is not really designed for and Monit has done this job really well. Just keep in mind also. This is not based on any bias. I hadn’t used Monit before this exercise. Supervisor is a mature product. It’s been around since 2004 and is still actively developed. The official and community provided docs are good. Yes it’s production ready. It’s proven itself. The documentation is quite good, easy to read and understand. I felt that the config was quite intuitive also. I already had systemd installed out of the box and didn’t see much point in installing Supervisor as systemd appeared to do everything Supervisor could do, plus systemd is an init system (it sits at the bottom of the stack). In most scenarios you’re going to have a Sysvinit or replacement of (that runs with a PID of 1), so in many cases Supervisor although it’s quite nice is kind of redundant, and of course Ubuntu has Upstart. Supervisor is better suited to running multiple scripts with the same runtime, for example a bunch of different client applications running on Node. This can be done with systemd and the others, but Supervisor is a better fit for this sort of thing. 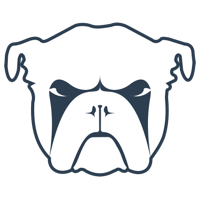 Is a utility for monitoring and managing daemons or similar programs. It’s mature, actively maintained, free, open source and licensed with GNU AGPL. After this operation, 765 kB of additional disk space will be used. Monit provides an impressive feature set for such a small package. Monit provides far more visibility into the state of your application and control than any of the offerings mentioned above. It’s also generic. It’ll manage and/or monitor anything you throw at it. It has the right level of abstraction. Often when you start working with a product you find it’s limitations and they stop you moving forward and you end up settling for imperfection or you swap the offering for something else providing you haven’t already invested to much effort into it. For me Monit hit the sweet spot and never seems to stop you in your tracks. There always seems to be an easy to relatively easy way to get any monitoring->take action sort of task done. What I also really like is that moving away from Monit should be relatively painless also. The time investment is small and some of it will be transferable in many cases. It’s just config from the control file. Ability to monitor files, directories, disks, processes, the system and other hosts. File Checksum Testing. This is good so long as the compromised server hasn’t also had the tool your using to perform your verification (md5sum or sha1sum) modified, which would be common. That’s why in cases like this, tools such as stealth can be a good choice. Testing of other attributes like ownership and access permissions. These are good, but again can easily be modified. Monitoring directories using time-stamp. Good idea, but don’t rely solely on this. time-stamps are easily modified with touch -r … providing you do it between Monit’s cycles and you don’t necessarily know when they are unless you have permissions to look at Monit’s control file. Has a built-in lightweight HTTP(S) interface you can use to browse the Monit server and check the status of all monitored services. From the web-interface you can start, stop and restart processes and disable or enable monitoring of services. Monit provides fine grained control over who/what can access the web interface or whether it’s even active or not. Again an excellent feature that you can choose to use or not even have the extra attack surface. There’s also an agregator (m/monit) that allows sys-admins to monitor and manage many hosts at a time. Also works well on mobile devices and is available at a one off cost (reasonable price) to monitor all hosts. Once you install Monit you have to actively enable the http daemon in the monitrc in order to run the Monit cli and/or access the Monit http web UI. At first I thought “is this broken?” I couldn’t even run monit status (it’s a Monit command). ps told me Monit was running. Then I realised… it’s secure by default. You have to actually think about it in order to expose anything. It was this that confirmed Monit for me. Just like SSH, to protect the security of your control file and passwords the control file must have read-write permissions no more than 0700 (u=xrw,g=,o=); Monit will complain and exit otherwise. The following was the documentation I used in the same order and I found that the most helpful. Source and links to other documentation including a QUICK START guide of about 6 lines. Monit has a plethora of different types of tests it can perform and then follow up with actions based on the outcomes. Http is but one of them. Integrate NodeJS’s core module cluster into your NodeJS application for load balancing. Monit will still monitor, restart and do what ever else you tell it to do. Monit provides application statistics to look at if that’s what you want, but it also goes further and provides directives for you to declare behaviour based on conditions that Monit checks for. Yes it’s production ready. It’s proven itself. Some extra education around some of the points I raised above with some of the security features would be good. If you could trust the hosts hashing programme (and other commonly trojanised programmes like find, ls, etc) that Monit uses, perhaps because you were monitoring it from a stealth controller (which had already taken a known good copy and produced it’s own bench-mark hash) or similar then yes, you could use that feature of Monit with greater assurance that the results it was producing were in fact accurate. In saying that, you don’t have to use the feature, but it’s there if you want it, which I see as very positive so long as you understand what could go wrong and where. The accepted answer here is a pretty good mix and approach to using the right tools for each job. Monit has a lot of capabilities, none of which you must use, so it doesn’t get in your way, as many opinionated tools do and like to dictate how you do things and what you must use in order to do them. Monit allows you to leverage what ever you already have in your stack. You don’t have to install package managers or increase your attack surface other than [apt-get|aptitude] install monit It’s easy to configure and has lots of good documentation. I’ve looked at Passenger before and it looked quite good then. It still does, with one main caveat. It’s trying to do to much. One can easily get lost in the official documentation (example of the Monit install (handfull of commands to cover all Linux distros one page) vs Passenger install (aprx 10 pages)). 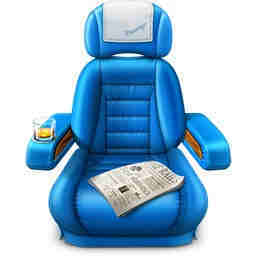 “Passenger is a web server and application server, designed to be fast, robust and lightweight. It runs your web apps with the least amount of hassle by taking care of almost all administrative heavy lifting for you.” I’d like to see the actual weight rather than just a relative term “lightweight”. To me it doesn’t look light weight. The feeling I got when evaluating Passenger was similar to the feeling produced with my Ossec evaluation. The learning curve is quite a bit steeper than all the previous offerings. Passenger has strong opinions that once you buy into could make it hard to use the tools you may want to swap in and out. I’m not seeing the UNIX Philosophy here. If you look at the Phusion Passenger Philosophy we see some note-worthy comments. “We believe no good software has bad documentation“. If your software is 100% intuitive, the need for documentation should be minimal. Few software products are 100% intuitive, because we only have so much time to develop it. The comment around “the Unix way” is interesting also. At this stage I’m not sure they’ve done better. I’d like to spend some time with someone or some team that has Passenger in production in a diverse environment and see how things are working out. Passenger isn’t in the Debian repositories, so you would need to add the apt repository. Passenger is six years old at the time of writing this, but the NodeJS support is only just over a year old. Sadly there weren’t many that stood out for me. Handle more traffic looked similar to Monit resource testing but without the detail. If there’s something Monit can’t do well, it’ll say “Hay, use this other tool and I’ll help you configure it to suite the way you want to work. If you don’t like it, swap it out for something else” With Passenger it seems to integrate into everything rather than providing tools to communicate loosely. Essentially locking you into a way of doing something that hopefully you like. It also talks about “Uses all available CPU cores“. If you’re using Monit you can use the NodeJS cluster module to take care of that. Again leaving the best tool for the job to do what it does best. “Keep your app running, even when it crashes. Phusion Passenger supervises your application processes, restarting them when necessary. That way, your application will keep running, ensuring that your website stays up. Because this is automatic and builtin, you do not have to setup separate supervision systems like Monit, saving you time and effort.” but this is what Monit excels at and it’s a much easier set-up than Passenger. This sort of marketing doesn’t sit right with me. “Host multiple apps at once. Host multiple apps on a single server with minimal effort. ” If we’re talking NodeJS web apps, then they are their own server. They host themselves. In this case it looks like Passenger is trying to solve a problem that doesn’t exist? “Privilege separation. If you host multiple apps on the same system, then you can easily run each app as a different Unix user, thereby separating privileges.“. The Monit documentation says this: “If Monit is run as the super user, you can optionally run the program as a different user and/or group.” and goes on to provide examples how it’s done. So again I don’t see anything new here. Other than the “Slow client protections” which has side affects, that’s it for security considerations with Passenger. From what I’ve seen Monit has more in the way of security related features. What I saw happening here was a lot of stuff that I actually didn’t need. Your mileage may vary. Phusion Passenger is a commercial product that has enterprise, custom and open source (which is free and still has loads of features). IRC: #passenger at irc.freenode.net. I was on there for several days. There was very little activity. Application should start automatically on system boot. There is no doubt that Passenger goes way beyond this aim. Application should be re-started if it dies or becomes un-responsive. There is no doubt that Passenger goes way beyond this aim. Passenger is advertised as offering easily viewable statistics. There is loads of official documentation. Not as much community contributed though, as it’s still young. From what I’ve seen so far, I’d say Passenger is production ready. I would like to see more around how security was baked into the architecture though before I committed to using it. I spent quite a while reading the documentation. I just think it’s doing to much. I prefer to have stronger single focused tools that do one job, do it well and play nicely with all the other kids in the sand pit. You pick the tool up and it’s just intuitive how to use it and you end up reading docs to confirm how you think it should work. For me, this is not how passenger is. If you’re looking for something even more comprehensive, check out Zabbix. If you like to pay for your tools, check out Nagios if you haven’t already. At this point it was fairly clear as to which components I’d be using and configuring to keep my NodeJS application monitored, alive and healthy along with any other scripts or processes. systemd and Monit. If you’re on Ubuntu, you’d probably use Upstart instead of systemd as it should already be your default init system. So going with the default for the init system should give you a quick start and provide plenty of power. Plus it’s well supported, reliable, feature rich and you can manage anything/everything you want without installing extra packages. For the next level up, I’d choose Monit. I’ve now used it in production and it’s taken care of everything above the init system. I feel it has a good level of abstraction, plenty of features, doesn’t get in the way and integrates nicely into your production OS. So we’ve installed Monit with an apt-get install monit and we’re ready to start configuring it. Now if you issue a sudo service monit restart, it won’t work as you can’t access the Monit CLI due to the httpd not running. If you want to receive alerts via email, then you’ll need to configure that. Then on reload you should get start and stop events (when you quit). monit -h # will list all options. Now you’re going to want to make sure your monitoring tool that can be configured to take all sorts of actions never just stops running, leaving you flying blind. No noise from your servers means all good right? Not necessarily. Your monitoring tool just has to keep running. So lets make sure of that now. When Monit is apt-get install‘ed on Debian it gets installed and configured to run as a daemon. This is defined in Monit’s init script. Monit’s init script is copied to /etc/init.d/ and the run levels set-up for it. This means when ever a run level is entered the init script will be run taking either the single argument of stop (example: /etc/rc0.d/K01monit), or start (example: /etc/rc2.d/S17monit). Further details on run levels here. Monit is pretty stable, but if for some reason it dies, then it won’t be automatically restarted again. Before we get started, lets get some terminology established. The two concepts in systemd we need to know about are unit and target. A unit is a configuration file that describes the properties of the process that you’d like to run. There are many examples of these I can show you and I’ll point you in the direction soon. They should have a [Unit] directive at a minimum. The syntax of the unit files and the target files were derived from Microsoft Windows .ini files. Now I think the idea is that if you want to have a [Service] directive within your unit file, then you would append .service to the end of your unit file name. A target is a grouping mechanism that allows systemd to start up groups of processes at the same time. This happens at every boot as processes are started at different run levels. /lib/systemd/system/ (prefix with /usr dir for archlinux) unit files provided by installed packages. Have a look in here for many existing examples of unit files. As mentioned above, systemd should be the first process started on your Linux server. systemd reads the different targets and runs the scripts within the specific target’s “target.wants” directory (which just contains a collection of symbolic links to the unit files). For example the target file we’ll be working with is the multi-user.target file (actually we don’t touch it, systemctl does that for us (as per the magic commands mentioned above)). Just as systemd has two locations in which it looks for unit files. I think this is probably the same for the target files, although there wasn’t any target files in the system administrator defined unit location but there were some target.wants files there. Now, some explanation. Most of this is pretty obvious. The After= directive just tells systemd to make sure the network.target file has been acted on first and of course network.target has After=network-pre.target which doesn’t have a lot in it. I’m not going to go into this now, as I don’t really care too much about it. It works. It means the network interfaces have to be up first. If you want to know how, why, check this documentation. Type=simple. Again check the systemd.service man page. Now to have systemd control Monit, Monit must not run as a background process (the default). To do this, we can either add the set init statement to Monit’s control file or add the -I option when running systemd, which is exactly what we’ve done above. The WantedBy= is the target that this specific unit is part of. Now we need to tell systemd to create the symlinks in multi-user.target.wants directory and other things. See the man page for more details about what enable actually does if you want them. You’ll also need to start the unit. sudo systemctl start monit.service # there's a stop and restart also. Now you can check the status of your Monit service again. This shows terse runtime information about the units or PID you specify (monit.service in our case). # SIGTERM is a safe kill and is the default, so you don't actually need to specify it. Be patient, this may take a minute or two for the Monit process to terminate. Or you can emulate a nastier termination with SIGKILL or even SEGV (which may kill monit faster). Now when you run another status command you should see the PID has changed. This is because systemd has restarted Monit. Right, we know systemd is always going to be running. So lets use it to take care of the coarse grained service control. That is keeping your NodeJS application service alive. # SIGTERM (15) - Termination signal. This is the default and safest way to kill process. # SIGKILL (9) - Kill signal. Use SIGKILL as a last resort to kill process. This will not save data or cleaning kill the process. # systemctl reload my-nodejs-app # to perform a zero-downtime restart. # SIGHUP (1) - Hangup detected on controlling terminal or death of controlling process. Use SIGHUP to reload configuration files and open/close log files. Group=my-nodejs-app # Not really needed unless it's different, as the default group of the user is chosen without this option. Self documenting though, so I like to have it present. Add the system user and group so systemd can actually run your service as the user you’ve specified. getent group # to verify which groups exist. sudo adduser --system --no-create-home --group my-nodejs-app # This will create a system group with the same name and ID of the user. groups my-nodejs-app # to verify which groups the new user is in. Now as we did above, go through the same procedure enable‘ing, start‘ing and verifying your new service. Make sure you have your directory permissions set-up correctly and you should have a running NodeJS application that when it dies will be restarted automatically by systemd. Don’t forget to backup all your new files and changes in case something happens to your server. start program = "/bin/systemctl start my-nodejs-app.service"
stop program = "/bin/systemctl stop my-nodejs-app.service"
Check SSH that it hasn’t been restarted by anything other than Monit (potentially swapping the binary or it’s config). Of course if an attacker kills Monit, systemd immediately restarts it and we get Monit alert(s). We also get real-time logging hopefully to an off-site syslog server. Ideally your off-site syslog server also has alerts set-up on particular log events. On top of that you should also have inactivity alerts set-up so that if your log files are not generating events that you expect, then you also receive alerts. Services like Dead Man’s Snitch or packages like Simple Event Correlator with Cron are good for this. On top of all that, if you have a file integrity checker that resides on another system that your host reveals no details of and you’ve got it configured to check all the right file check-sums, dates, permissions, etc, you’re removing a lot of low hanging fruit for someone wanting to compromise your system. Directory permissions, uid, gid and checksums. Of course you’re also going to have to make sure the tools that Monit uses to do these checks haven’t been modified. If you find anything I haven’t explained clearly, or you need a hand with any of this just leave a comment. Cheers. This entry was posted on June 27, 2015 at 08:00 and is filed under GNU/Linux, Networking, Security, Web. You can follow any responses to this entry through the RSS 2.0 feed. You can leave a response, or trackback from your own site. … monit doesn’t use any of these utilities – it implements everything, including hashing (md5 and sha1), file and directory operations, etc. internally and doesn’t depend on system utilities. No Problem. That’s what we use file integrity checkers for. Because we don’t trust those commonly trojanised programmes. One of the file integrity checkers resides on another machine https://blog.binarymist.net/2015/05/30/evaluation-of-host-intrusion-detection-systems-hids/#stealth (Controller). It stores hashes of all files it checks from the Client on the Controller. This includes all the commonly trojanised programmes, including monit and it’s dependencies. The file integrity checker also stores copies of sha1 on the controller. Providing your install is not trojanised from the beginning, we will know as soon as someone/something has changed the integrity of files on the Client machine. Security is all about defense in depth. Each tool, technique or process covering the other tools techniques or processes.